The world is now becoming aware of the gifts at our feet. The ones you have labeled “unwanted weeds”, the ones that are our healers, the ones that are our healing foods, the perfect gifts that we have been given! As an herbalist this is the time of massive harvest of these gifts, take time to learn of these healers. Today I will be harvesting wild lettuce, this plant is a marvelous pain killer. Stop by Spirit to sole connection and learn how to use wild lettuce. Referring to the therapeutic properties of wild lettuce, noted English herbalist Gerard said as early as in the sixteenth century that this herb helped in inducing sleep, alleviated pain, stabilized the menstrual cycles in women, and was drunk to cure spider bites and scorpion stings. Wild lettuce possesses sedative properties and, hence, it is not surprising that when people drink tea prepared from this plant, they usually do not have enough craving for sexual activities. It may be noted that the observations made by Gerard in this regard manifests the idea that was widely believed by other people during his time. This conception continued till the Victorian era. You ought to remember that these are the same people who had said that consuming wild lettuce would lead to sterility. Similar to several other notions of the Victorian era, the panic associated with consumption of wild lettuce was never proved scientifically. 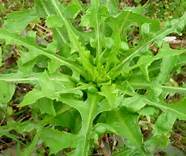 It has been found that the milky substance given out by wild lettuce contains lactucopicrin, lactucic acid, sesquiterpene lactone and lactucin. In addition, this plant also encloses flavonoids that are based on aesculin, coumarins, quercetin, cichoriin and n-methyl-b-phenethylamine as well as a maximum of 60% latex, which forms the raw material for manufacturing rubber. As this plant contains high amounts of latex, experiments were undertaken during the World War II to find if it could be used as a substitute rubber source.